I’m going to try keeping some of my research notes here. It will serve as a dumping ground for the various bits of info I gather for EPP, and allow those few people who are crazy enough to want to see what inspires the background of the EPP books. Daemonosaurus is the name of one of the first true dinosaurs. Now that, in and of itself, is a loaded statement to someone (like me) who hasn’t really studied paleontology. As far as I knew until recently, the Triassic, Jurassic, and all the other -ssic periods of time in prehistory, were simply filled with giant, lizard-like reptiles called dinosaurs. They were huge, scaly, cold-blooded reptiles that ran around roaring like Godzilla as they chomped on one another. Imagine my surprise when I learned that during the Triassic period, dinosaurs were just getting their foothold, and most of them were roughly the size of a large dog. That’s because they dinosaurs were just beginning to evolve from their ancestral Archosaurs. Basically, this was the time when Mother Nature was experimenting with different life forms. 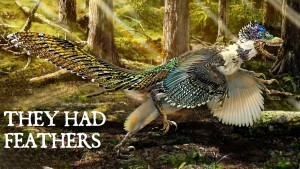 There were the Rauisuchians, Crocodylomorphs, Pterosaurs, and the true dinosaurs, that were just beginning to emerge. No, the dinosaurs of the Triassic period aren’t the typical giants you’re used to seeing in Jurassic Park or other such movies. For that matter, I’ve already mentioned that scientists now know that the dinosaurs as shown in those movies, likely never existed at all – at least, not the way they were portrayed on-screen. 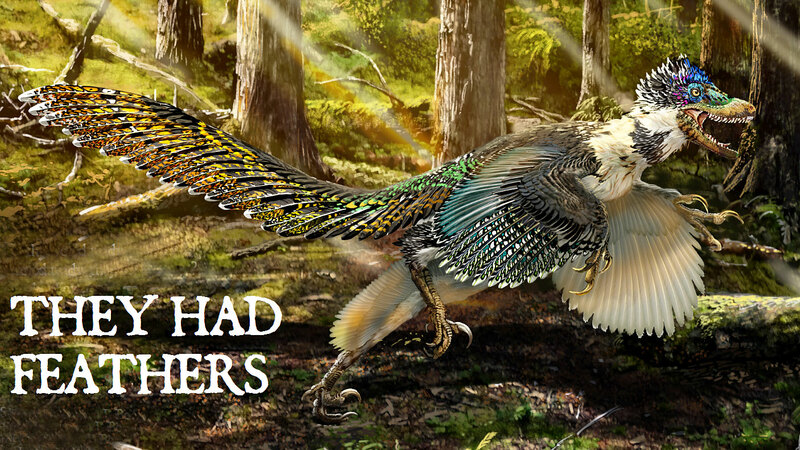 Many of them had bright colors and feathers of all shapes and sizes, and many of the predatory dinos likely looked more like predatory birds from hell, than the lizards they’re represented as. The more I research, the more I find it ironic that the creatures that actually look like the giant lizards typically shown as dinosaurs, weren’t actually dinosaurs at all, but rather Rauisuchians and Crocodylomorphs. Postosuchus is a prime example. Imagine a twenty to thirty foot long crocodile with longer legs that bring it a few feet up off the ground, and allow it to rear up on its hind legs for short periods of time. But actual dinosaurs of the Triassic period weren’t the only nasties out there, either. Named By: Martin Ezcurra‭ & ‬Gilles Cuny‭ ‬-‭ ‬2007. Classification: Chordata,‭ ‬Reptilia,‭ ‬Dinosauria,‭ ‬Saurischia,‭ ‬Theropoda,‭ ‬Coelophysoidea. Size: Around 5-5.2 meters long. Known locations: France,‭ ‬Normandy‭ ‬-‭ ‬Moon-Airel Formation. Time period: Rhaetian of the Triassic/Hettangian of the Jurassic. Fossil representation: Partial skeleton including,‭ ‬parts of the hip,‭ ‬some vertebrae from different areas of the spinal column‭ (‬neck,‭ ‬back,‭ ‬sacrum,‭ ‬tail‭) ‬and teeth. Lophostropheus was initially assigned as a specimen of Halticosaurus until‭ ‬1993‭ ‬it was re-classified as a second species of Liliensternus,‭ ‬a genus that was also previously established as a‭ ‬species of Halticosaurus.‭ ‬A new study in‭ ‬2007‭ ‬however concluded that while the fossils were similar,‭ ‬they were different enough to be established as a new genus,‭ ‬thus Lophostropheus was created. The identifying features of Lophostropheus which inspired the name are the low crests that are seen on the top and bottom of the cervical‭ (‬neck‭) ‬vertebrae.‭ ‬Closer study has revealed even more differences to the point where Lophostropheus is no longer thought to be that similar to Liliensternus at all but rather other coelophysid theropods like Coelophysis.‭ ‬Another key difference between Lophostropheus and Liliensternus is that the cervical vertebrae of Lophostropheus have an extra pair of cavities. Lophostropheus was probably one of the larger theropod dinosaurs of its time and it‭’‬s this time that has been particular interest to palaeontologists.‭ ‬Lophostropheus remains have been dated to what has been termed a boundary point between the end of the Triassic and start of the Jurassic,‭ ‬a time that is not as well represented as the periods just before and after it.‭ ‬Lophostropheus allows us to get a glimpse as to how dinosaurs,‭ ‬particularly theropods changed during this time as so far there is still quite a gap between late Triassic theropods likeCoelophysis and early Jurassic theropods like Dilophosaurus. The Lophostropheus was a slender dinosaur of moderate build. 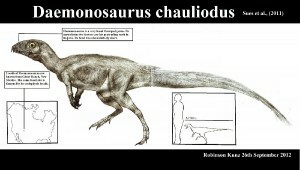 It is estimated to have been somewhere between 10 to 15 feet long and weighed as much as 450 lbs. The Lophostropheus inhabits characteristics from more derived theropods like a ball-socket connection in the anterior neck vertebrae and a socket joint in the tail vertebra’s front end. It also showcases a vertical ridge on its illium. The most striking feature about this dinosaur is the presence of prominent crest-like structures both above and below the neck vertebrae, which is why the creature has been so-named. The neck vertebrae housed a couple of extra cavities. The convex frontal articular surface of the ventral postaxial cervical vertebrae has a medium radius of curvature. A large and elliptical lateral fossa is observed on the last dorsal vertebral column. An elongated hyposphere extends from the front to the back of the last dorsal vertebra. The length of the caudal vertebrae is constant throughout the entire tail length. An incipient concave curve manifests itself on the articular surface of the cranial caudal vertebra. 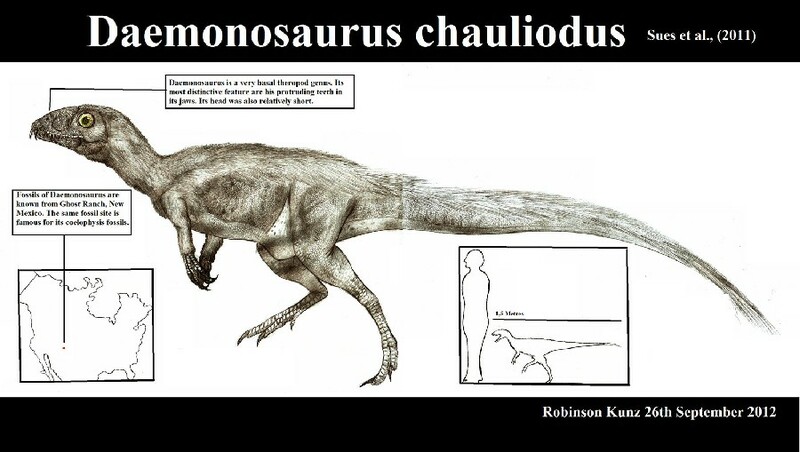 The Lophostropheus was a carnivorous dinosaur i.e. it was a flesh eating creature. It belonged to the theropod family. It was a coelophysoid dinosaur being a part of the Coelophysoidea superfamily. It exhibited more coelophysoid characteristics than theropod ones. Its habits and size are not unlike those of the Liliensternus. It was a bipedal creature meaning it could walk on its two lower forelimbs. The feet i.e. the lower limbs ha well developed claws. It was a ground dwelling carnivore that lived in the swamps and marshes of the western part of present-day Europe. The dinosaur is known only from the set of partial remains of the skeletal remains found in Normandy. Therefore not much data can be estimated about this dinosaur. Owing to this there were many incorrect guesses in the context of this creature’s classification. French paleontologists Albert-Felix de Lapparent and C. Larsonneur classified the remains as a species of Halticosaurus in 1966. In 1993, Gilles and Peter Galton listed it under the newly formed species of Liliensternus and this creature was named L. airelensis. Finally after much analysis, that included the identification of differences from the other Liliensternus dinosaurs like the pleurocels of the cervical vertebrae, enabled Gilles n Guny to reclassify it as a separate genus in 2007. The dinosaur was a part of the period when the dinosaurs increased exponentially in size from lizard sized creatures to humongous giants. It might benefit us to know more about this dinosaur as we may learn more about the evolution of other dinosaurs through the study of that time through the Lophostropheus. Another makes the Lophostropheus such an important dinosaur is that it is one of few rare species, whose fossils have been formed that lived near the end of Triassic period. In fact, the specimens are the only good known remains of theropods from that period. The Lophostropheus is also special in the respect that it survived the Triassic-Jurassic extinction event, while the majority of the planet’s then living population perished. Detailed study of the creature might help us understand what ecological calamity caused such massive destruction. This is an important event from the prehistoric time frame of earth and one that we should strive to understand. Also, we might understand why the Lophostropheus managed to survive what caused so many other species to perish.